Nitish keeps mum as CBI raids Lalu & family. What will happen to the Grand Alliance now? 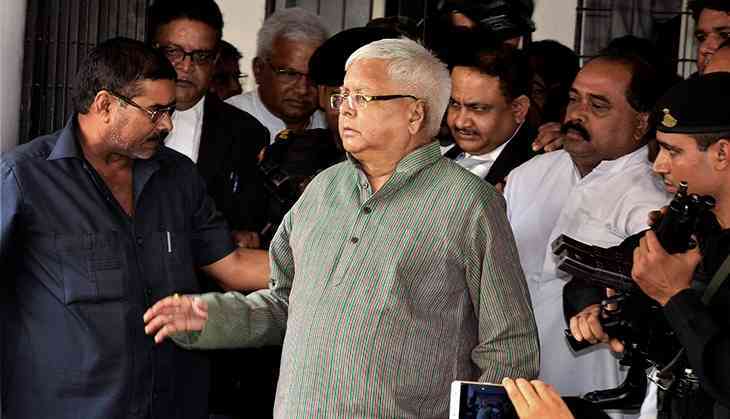 Turmoil was writ large in Bihar politics on Friday as a large team of CBI officials swooped down on multiple addresses linked to RJD supremo Lalu Yadav early Friday morning. The raids reportedly began at 7.30 AM at 12 locations in Patna, Ranchi, Puri and Gurugram. CBI said the raids followed the registration of a case against Yadav, his wife and former CM Rabri Devi and their son and deputy CM Tejashwi Yadav. The case pertains to allegations of corruption during Yadav's tenure as railways minister in 2006. While all this was going on, Chief Minister Nitish Kumar was not only missing in action, he was silent too. Even as the raids and questioning of Yadav and his family members went on for hours. Kumar spent the day in Rajgir, about 100 kms away from Patna, and as reports of the raids spread, he summoned his top officials too from the state capital to Rajgir. No statement was released throughout the day either directly by Kumar or his office. To make matters worse, BJP leader and Yadav's arch-rival Sushil Modi nearly thanked Kumar for the raids, recalling that the matter was first raised by Kumar himself way back in 2006. Kumar's silence on the raids and Modi's statement has sent jitters across the Grand Alliance in the state. The case registered against the Yadavs pertains to alleged corruption in allotting tenders to a private company for running heritage hotels owned by the Railways at Ranchi and Puri. The CBI alleged Yadav allotted the tenders through IRCTC to a private company and then received three acres of land in Patna, in exchange, at cheap rates. Gupta is the wife of RJD MP P C Gupta, the Kochhars are proprietors of the Chanakya Hotel in Patna, LARA is a Yadav family company and Goel was the then MD of IRCTC. While Yadav denied any illegalities in the matter, calling the raids vendetta-driven, Goel too denied any culpability on his part. BJP leaders like Sushil Modi, Union Ministers Giriraj Singh, Radha Mohan Singh and Rajiv Pratap Rudy lined up to slam Yadav as corrupt and nudged Kumar to sack the deputy CM. Kumar and the entire senior leadership of JD(U) were silent on the raids, neither endorsing the vendetta theory nor saying the law will take its course. The situation is indeed untenable for Kumar as it is somebody no less than his own deputy in the state government who the CBI just raided and questioned. The raids do not establish the accused's' culpability but probity in public life demands a response from the CM. Interestingly, the raids came on a day when the Opposition's nominee for the presidential polls, Meira Kumar was in Patna, meeting legislators and seeking their support. It was originally speculated that the CM had escaped to Rajgir to avoid her, after having supported NDA's nominee Ramnath Kovind. However, the CBI raids completely changed the narrative and political corridors were abuzz with speculations that Kumar may have known about the raids in advance and left Patna because of them. The future of the Grand Alliance in Bihar is certainly shaky now, with uncertainty hanging over the possibility of Yadav, his wife and, more importantly, their son Tejashwi. If the deputy CM is arrested, will the CM sack him? If the deputy CM is sacked, will Lalu pull the plug on the government? If RJD breaks the alliance, will Kumar take BJP's support to save his government? Politics in Bihar is changing at a rapid pace and answers to these questions may come up sooner than earlier expected. 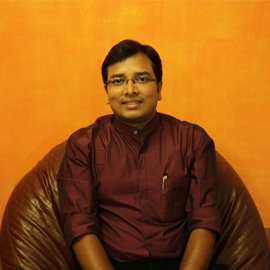 Assistant Editor at Catch, Charu enjoys covering politics and uncovering politicians. Of nine years in journalism, he spent six happily covering Parliament and parliamentarians at Lok Sabha TV and the other three as news anchor at Doordarshan News. A Royal Enfield enthusiast, he dreams of having enough time to roar away towards Ladakh, but for the moment the only miles he's covering are the 20-km stretch between home and work.